New build villa of 567 m² located on a plot of 1,189 m², 741 m² of which is for the garden. 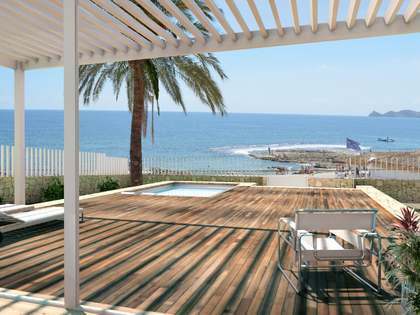 It is located in a prestigious residential area with spectacular panoramic views of the coast and the bay of Jávea, from all its rooms and terraces, which gives the feeling of living in a constant private viewpoint over the Mediterranean Sea. The house is newly built, with a unique design which maximises the natural light. It has luxury features and the latest technology. The first floor, the highest, is the main core of the house and consists of a living room with a fully equipped kitchen and 2 spectacular terraces. One is facing north and offers stunning views of the coast, while the other is a porch with a pool, ideal for relaxing with complete privacy. This floor also consists of the master bedroom with a jacuzzi, dressing room and 2 terraces. The ground floor has 3 large bedrooms, all with private bathroom and their own terrace, so they offer plenty of light and total privacy. The basement has 3 independent access doors, so you can park 3 cars in total comfort. 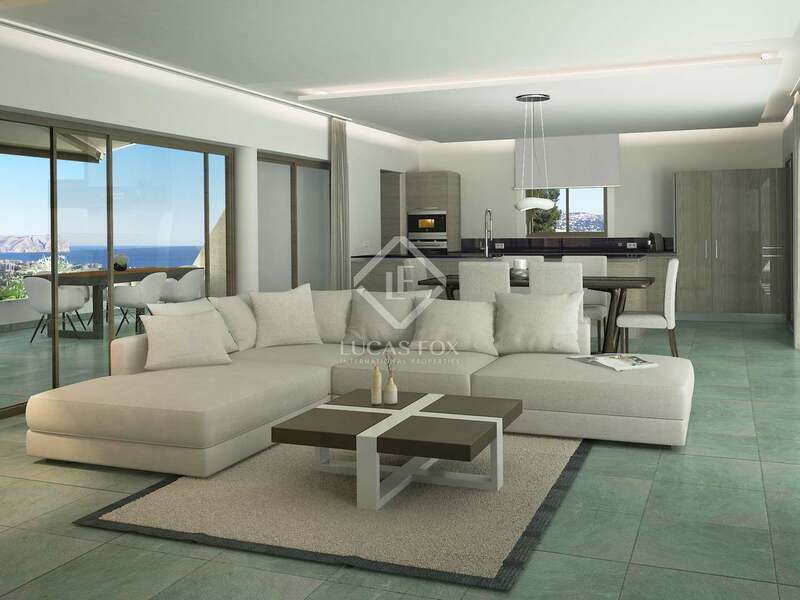 Some additional features include underfloor heating, home automation system, a lift hot and cold air conditioning, motorised garage doors, pool with LED lighting, garden with automatic irrigation and LED lighting. The kitchen is fully equipped with a refrigerator, induction hob, extractor hood, electric oven, microwave, washing machine, dryer and dishwasher. 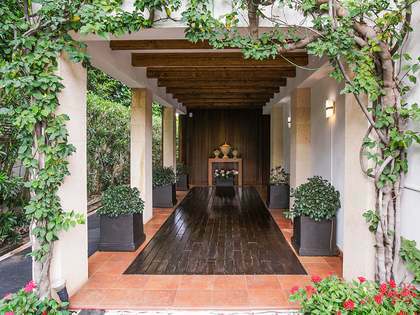 A completely new villa for sale located in a privileged setting. Handover of keys will take place in September. 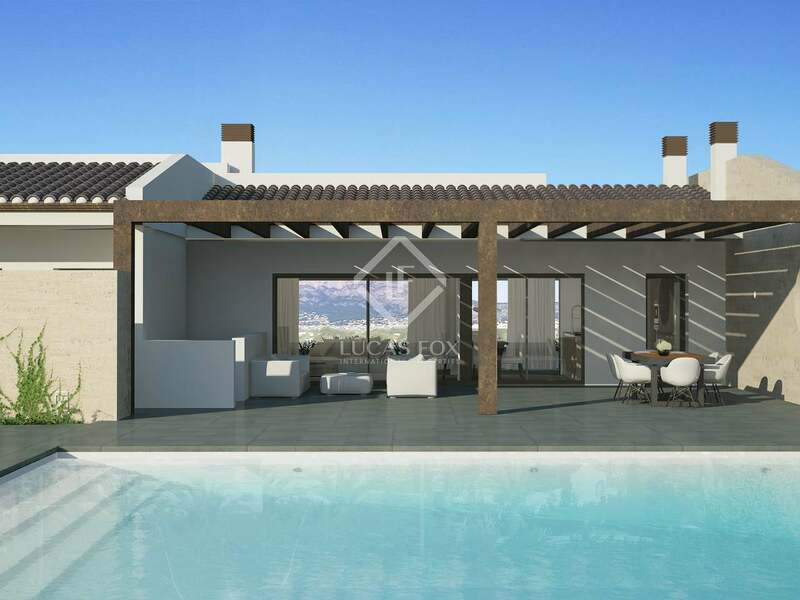 Property in a privileged setting with views of the sea and the bay of Javea. It is very well connected, just 5 minutes by car from all of the shops and services of Javea and the beaches.